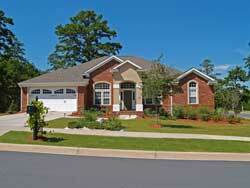 Conyers Property Management, Conyers Property Managers, Conyers, GA Property Management Companies. Conyers is the only city in Rockdale County, Georgia, United States. The city is twenty-four miles east of Atlanta. As of the 2010 census, the city population was 15,195. The city is the county seat of Rockdale County. The formerly separate town of Milstead is now part of Conyers. Before European settlement, the area which is now Conyers, along with the surrounding county of Rockdale, was occupied by mound-building Native Americans. As time progressed, the Muscogee (or Creek) and Cherokee natives shared a common border here. This border was known as the "Great Indian Road," and is known now as the "Hightower Trail". This trail was used by white settlers following the American Revolution.